When you stay at The Westin Snowmass Resort in Snowmass Village, you'll be connected to a shopping center, within a 15-minute walk of Snowmass Mountain and Snowmass Mall. 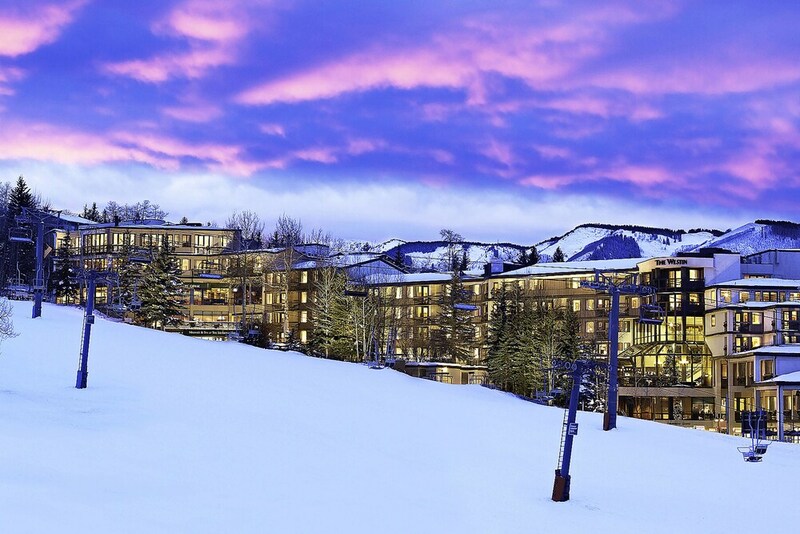 This 4-star resort is 7.1 mi (11.5 km) from Buttermilk Mountain and 10 mi (16.2 km) from Aspen Mountain. Make yourself at home in one of the 254 air-conditioned rooms featuring refrigerators and LCD televisions. Your pillowtop bed comes with premium bedding. Digital programming and iPod docking stations are provided for your entertainment, while wireless Internet access (surcharge) keeps you connected. Private bathrooms with bathtubs or showers feature rainfall showerheads and complimentary toiletries. Relax at the full-service spa, where you can enjoy massages, body treatments, and facials. You're sure to appreciate the convenience of ski-in/ski-out access at this resort, which also features an outdoor pool and a 24-hour fitness center. This resort also features complimentary wireless Internet access, concierge services, and babysitting/childcare (surcharge). If you'd like to spend the day shopping, you can hop on the complimentary shuttle. Enjoy American cuisine at Snowmass Kitchen, a restaurant which features a bar, or stay in and take advantage of the 24-hour room service. Wrap up your day with a drink at the poolside bar. Buffet breakfasts are available daily for a fee. Featured amenities include a 24-hour business center, limo/town car service, and express check-in. Planning an event in Snowmass Village? This resort has facilities measuring 24000 square feet (2230 square meters), including a conference center. A roundtrip airport shuttle is complimentary (available 24 hours). After a day on the snow, enjoy a swim in the outdoor swimming pool or use the resort's other facilities, which include a 24-hour fitness center. The Westin Snowmass Resort helps provide the perfect winter holiday with ski storage, ski equipment rentals, and ski passes. When the sun goes down, sip après-ski drinks in the resort's bar. The resort offers a restaurant and a coffee shop/café. Public areas are equipped with complimentary high-speed wired and wireless Internet access. Onsite parking is available. Free airport shuttle service is available upon request. A total renovation of this property was completed in December 2012. The Westin Snowmass Resort is a smoke-free property. Snowmass Kitchen - Experience an evolving variety of flavors with a menu of steak, chops, and fish that changes with the seasons. With convenient ski-in/ski-out access from the Westin Terrace, Snowmass Kitchen sets the stage for unforgettable slope-side dining. The Ranger Station Bar - This brewpub specializes in American cuisine and serves lunch and dinner. Vue Lounge - Relive an exciting day on the mountain and mingle over an exceptional array of handcrafted cocktails, local micro-brews, new world wines, and shareable gourmet appetizers at Vue Lounge, which arguably offers the best views in Colorado. Starbucks® - With ski-in/ski-out access, Starbucks® offers handcrafted hot beverages like our toasty Hazelnut Frappuccino®. Warm up with friends over lattes and cappuccinos on the outdoor patio or inside at our communal table. Recreational amenities at the resort include ski-in/ski-out access, an outdoor pool, and a 24-hour fitness center. This property charges a resort fee of USD 15 from April 15 to November 22 and USD 30 from November 23 to April 14. For more details, please contact the property using the information on the reservation confirmation received after booking. This property offers transfers from the airport. Guests must contact the property with arrival details 72 hours prior to arrival, using the contact information on the booking confirmation. Only registered guests are allowed in the guestrooms. The property has connecting/adjoining rooms, which are subject to availability and can be requested by contacting the property using the number on the booking confirmation. The property allows pets in specific rooms only and has other pet restrictions (surcharges apply and can be found in the Fees section). Guests can arrange to bring pets by contacting the property directly, using the contact information on the booking confirmation.